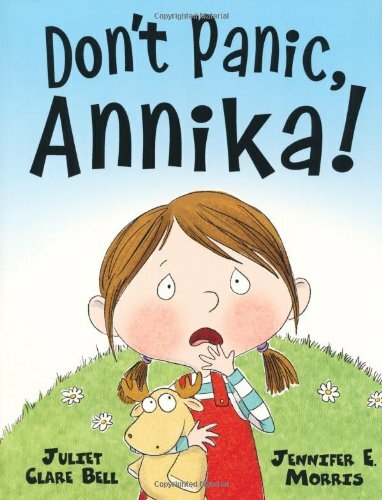 Children often get into tricky situations that make them feel panicky and so it is with Annika. Her understanding family help her to calm down and find a solution when her toy Moose falls into the pond, and also when her zip gets stuck and she’s sure she’s going to miss the party. But when Annika is involved in a real emergency, she is the one who thinks things through and sorts them out on her own. Lots of repetition make this a fun read aloud, and the illustrations are jolly and full of life.